Our clients on this remodel started out with a dark, colonial styled proper living room that was never used. When they came to us they asked us what we thought they could make this room into to better suit their needs. Taking a look around the rest of the house, we noticed that they had books everywhere! 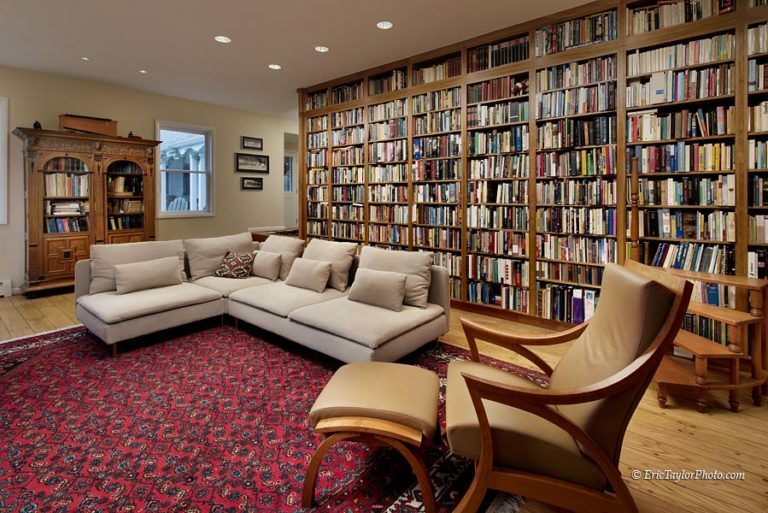 Why not make the space into a personal library to store that wonderful collection. The new room is relaxed, filled with light, friendly and agreeable. 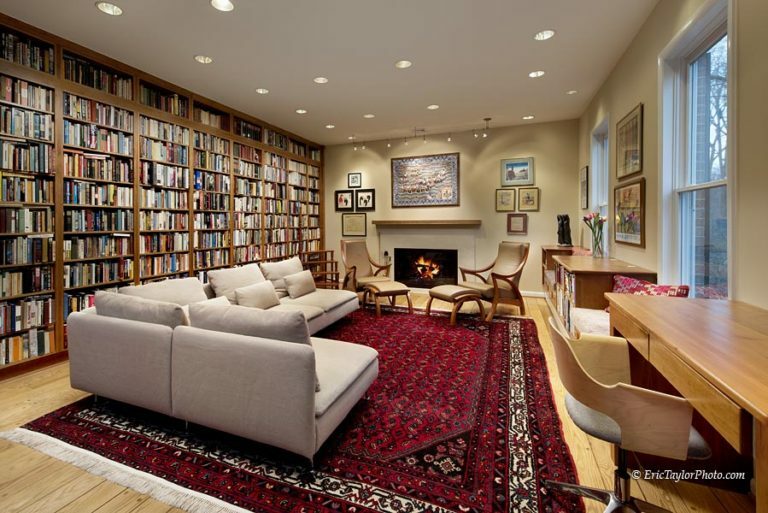 We removed all of the colonial trappings, added multiple layers of recessed and track lighting, restyled te fireplace, and planned enough space to house a vast double shelved library. There is also special space set aside for a collection of vinyl LPs. The majority of the artwork is personal family work. 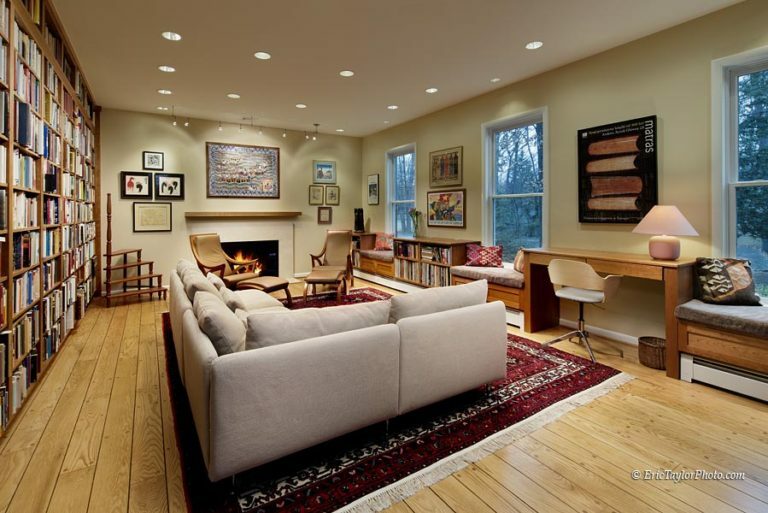 There is also plenty of inviting lounging space to enjoy the quite. The great grandfather’s cabinet on the wall near the entrance was brought over from the family’s homeland and anchors the fireplace across the room. 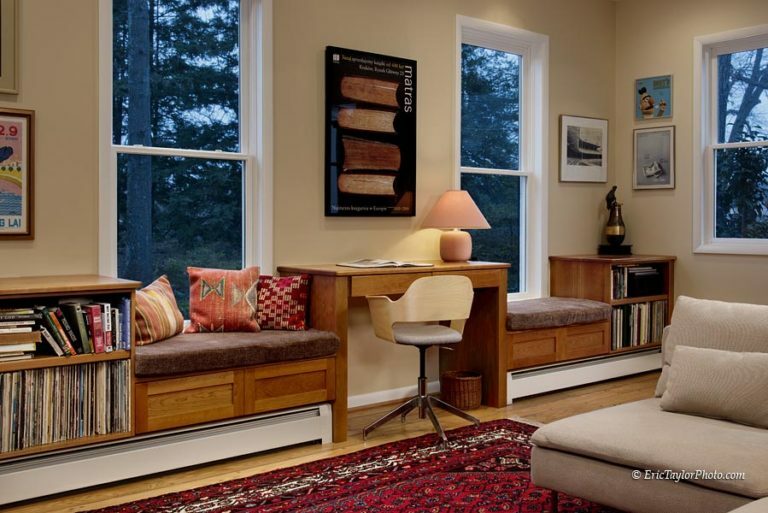 Uncovered windows preserve views of the surrounding woods and allow in natural light. And, the lighter flooring maintains the relaxing atmosphere. One visitor commented that he’d be content to never leave the room, who would want to? And the owner just told us that this room is his heaven.